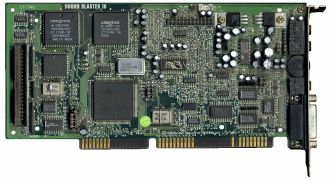 Creative Labs brought their first 16 bits sound card, the Sound Blaster 16, substantially later to the market than their competition. 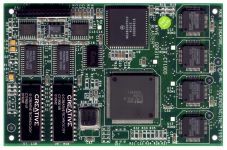 Equipped with a 16 bits DSP for digital audio, an OPL3 for FM music playback, as well as in extended versions with an ASP ("Advanced Signal Processor" - for compression, speech synthesis and QSound spatialization), and an interface for expansion boards, this card should sweep all other competitors from the market. Full CD quality with 16 bits and 44.1 Khz was finally also possible with a Creative Labs card. They had also put effort to clean up the programming interface chaos of its predecessors. Unfortunately, they've done their job very thoroughly. Generally, the consumer thinks that if a product carries the same brand, backwards compatibility is given. And by looking on the product packet, you also see there's a "Sound Blaster compatible" written on it. Therefore everything should be ok, shouldn't it? Yes, because the imprint didn't lie... the card is actually SB-compatible - nonetheless, however, not SB Pro compatible! Admittedly the card plays along without complaints if you use it as SB Pro compatible, and returns also everything with the correct frequency. However, there was a little point, that they forgot in the pre-delivery inspection - the card could not play stereo while being in SB Pro mode! This manifested itself in a very twisted (mono) playback of stereo samples, since samples are being sent interleaved to the card, alterning left and right. They seemingly also cheated in some other aspects. Namely, the ADC (Analogue Digital Converter) could only dissolve only 12 bits! Many users could prove this in their attempts, however this has never been officially confirmed. That is even more tragic, as exactly these 12 bits were seen as the disadvantage of the AdLib Gold compared to this card. Sometimes, marketing is simply everything. Nevertheless, this card found many buyers. After all old games could often work easily with the card, and upcoming games adapted this card very fast, thanks to Creative's support. So, also this card placed a quasi standard again, that could not be broken by anybody else. The integrated ASP of the more expensive models however was practically never used. Probably also, because they - contrary to the usual practice - never disclosed any direct programming guides. Developers should use the delivered drivers, which most users probably just uninstalled since it was taking up the precious lower 640 KByte RAM. This interface, however, had a nasty bug, which caused hanging MIDI notes when using digital sounds and MIDI music at the same time. That started with DSP version 4.06 and was also included in version 4.12 and probably 4.13 - however it looks to be much more rare with 4.13. Which SB 16 to buy? If you are going to purchase a used card for compatibility with old games, you may be overwhelmed by the number of SB 16 versions. You can skip the ASP chip, which is practically not used. If you want to use a MIDI add on board, skip any Value version (which doesn't have it) and watch for a DSP version of 4.05, if possible. These should can be identified by having jumpers for their IRQ selection (the later versions used software based configuration). Higher DSP versions have a hanging note bug, which occurs when you use MIDI and sampled audio at the same time (as it is the case with most games). DSP versions above 4.05 have a hanging notes bug when using MIDI and sample playback at the same time. The earlier versions can be identified by separate IRQ jumpers. 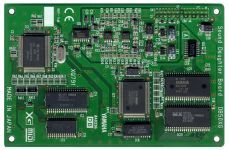 You may also spot the DSP version on the CT1740A or CT1741 chip, for example a "V413" for DSP version 4.13. Avoid any cards with a Vibra chipset! These cards lack some features, like bass/treble settings and the expansion header. More importantly, however, some later Vibra cards skip the OPL3 chip for an inferior solution using "CQM synthesis", which will make any AdLib based games likely sound pertty thin and not like the original. You can identify these cards by their much smaller size, by less chips, and mostly one of its chips has "Vibra" standing on it. Which wave table to buy? This is a hard decision, and depends on your personal taste and your budget. If you prefer more industrial, electronic and powerful style, have a look for Yamaha boards or its clones. If you like clean full synthesizer sounds, watch out for Roland's boards. For anything else have a look at the Wave Blasters, but you may prefer the Wave Blaster II from a sound perspective. It just has the better samples and circuitry compared to its predecessor. Another pure MIDI card of the house Roland was developed, this time based on the external Sound Canvas module SC-55. Also this one was primarily targeted at professional musicians, and represented the first PC card with Roland's expansion of the General MIDI standard, General Synthesizer (GS). The card has got 24 channels, that were fed with 16 bits PCM samples from the 4 MB sized sample ROM, and were mixed with 44.1 Khz resolution. Also here is valid, as with the LAPC-I, that 24 channels doesn't mean 24 different instruments playing simultaneously. However it's not as extreme as with the LAPC-I, 16 Instruments could be played, 16 times multitimbral here. The ROM content was compressed and included 317 sounds in the first, 354 sounds in the second version of the card. There was an MPU401 compatible interface on board as well, consequently it was supported by almost each program that played music - the card was plugged in and it worked. No drivers, no unnecessary hurdles. Additionally, the card adds chorus capability over the LAPC-I, that only supported reverb/delay. The card could also be brought into MT-32 compatible mode, but no samples could be uploaded! Games doing this - and their amount was not that small - didn't sound like on the original LAPC-I. However you shouldn't look at the card in the way of mediocre LAPC-I support, because it presumably represents until today the highest of the feelings when dealing with MIDI playback! 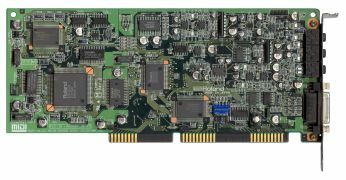 Game music composers at the time preferred Roland products which this card was derived from, hence using this card often lets newer games sound as they're supposed to. I shouldn't talk about it, you have to hear it - try the samples! As always, you buy good with Roland, but definitely not cheap. The card was prized at about $500 - approximately the same as the LAPC-I, which temporary sold in parallel. Trough this it is, as the LAPC-I, a rarity, and only hard vs. expensive to get in hands. The RAP-10 should be mentioned as well, which approximately hit the market one year later. This was the first consumer card by Roland, which also mastered sampling on CD niveau. The MIDI part was cut down to 128 instruments and General MIDI (based on the SC-7 module) compared to the SCC, but sounded otherwise identical. 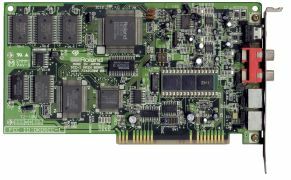 Though this card was intended only for Windows use, it was supported by quite a bunch of games, either directly as RAP-10, but also indirectly (MPU401/SCC-1). If the game only used General MIDI, you probably won't hear a difference.